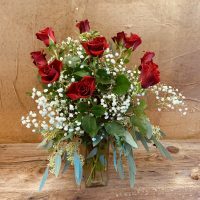 Our professional Florist Shop has a great selection of flowering plants, orchids, cut roses and other flowers. Most of our plants and flowers are sourced from major local greenhouse growers, as well as a network of other Central Coast flower growers and distributors. 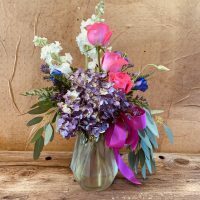 We would be happy to help you create the complete floral arrangements for your wedding, party, or special event. 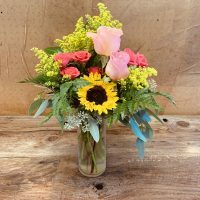 We also specialize in creating beautiful arrangements to send to loved ones. We deliver in Cambria, San Simeon and Cayucos. Please call us at 805.927.4747 to inquire about specifics or if interested in special orders.